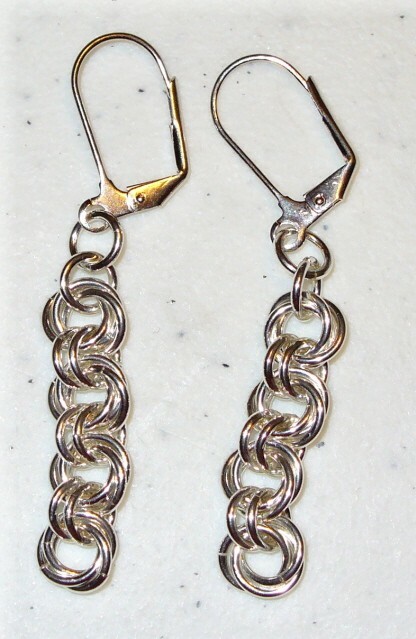 The Flower Chain Earrings are a very nice first chain mail piece to make. They are simple and easy to construct but are quite beautiful upon completion. The earrings with their linear flow are quite flattering to your face. This is a beginner weave. Sterling silver plated or gold plated leverback earring findings are included in the kit.